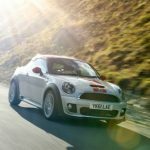 But without that all-important first hand driving experience, we’ve gathered the opinions of the important magazines and websites, and the news is that MINI’s oddball new coupe might just have what it takes to be another good news story for UK PLC and the Cowley production site in particular. 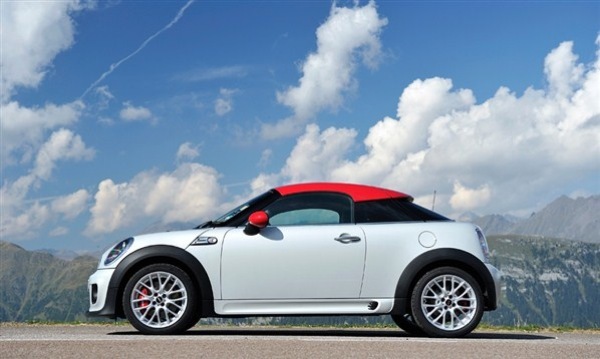 Owning a Mini Cooper Coupe brings compromises. The view aft through the slit-like rear window is minimal, made worse when the retractable rear spoiler rises at 50mph, and the over-the-shoulder vista is non-existent. Obviously there’s no rear seat. Does that make it a sports car? Probably not, just as neither an Audi TT nor a Peugeot RCZ is a sports car. But that doesn’t make it any less indulgently entertaining. With all that in mind this is not a car that we would describe as relaxing to drive – yet it is undeniably exciting, and involving too. 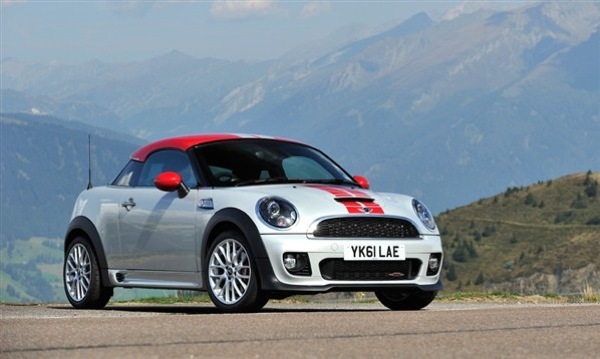 If you have been lucky enough to drive the hatchback version of the MINI John Cooper Works, imagine it as being a bit like that car… only turned up to eleven. 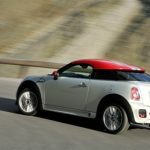 While that might prove too much for some, we’re sure those who developed original Mini Coupes like the legendary Mini Marcos or Broadspeed GT would approve… Then, as now, the MINI Coupe really does appear to be in a class of its own. Pricey, but spicy. 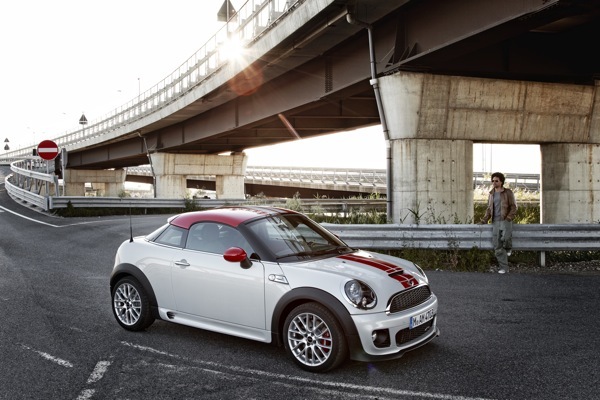 The Mini Coupe, and the JCW version in particular, distills everything we love about MINI into its purest form yet, without a lot of the stagey, branding stuff. At last, another Mini for the real enthusiast. Having dodged any mention of baseball caps above (the roof is apparently modelled after a racing helmet now, not the previously quoted back-to-front hat; oh, wait, whoops) let’s ignore the looks and get on with the performance. 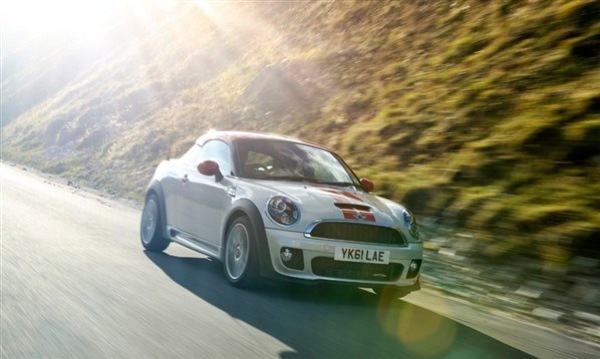 Point of order number one: in range-topping John Cooper Works guise, the Coupé is the fastest ‘series production’ MINI ever. With 211hp it goes 0-62mph in just 6.4 seconds – a headline figure supported by sparkling responses right through the rev range. Regular 122hp Cooper and 184hp Cooper S 1.6-litre petrol versions are also available, alongside the 143hp Cooper SD 2.0-litre turbodiesel. This last is an excellent all-rounder, bristling with meaty torque, and smooth with it. As a daily driver tasked with motorway slogs as well as backroad blasting there’s a lot to like – even if we’d miss the decisive top end snap of the JCW when executing overtakes. The SD is also £3,000 cheaper and far more fuel-efficient. If only it sounded as good as the JCW’s snorting petrol turbo, which glories in a fizzing muscularity that’s supported in Sport mode by plenty of rorty popping and banging from the exhaust. Sport also sharpens the throttle on all models, while a sweet shifting six-speed manual gearbox adds the finishing touch. Less impressive is the road and tyre noise, not to mention the squally aero sound as the air negotiates the window seals and roof spoiler. 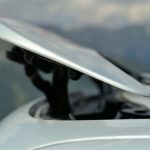 Strong though the engine lineup is, there’s nothing that’s actually new – you can get the exact same power units in the MINI Hatch, and you’ll barely notice the Coupé’s trivial straight-line advantage. So what about the way it feels to drive? 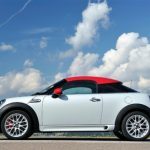 With the same basic platform and suspension set up as the Hatch you won’t be surprised to learn the Coupé exhibits a very distinctively MINI soul. 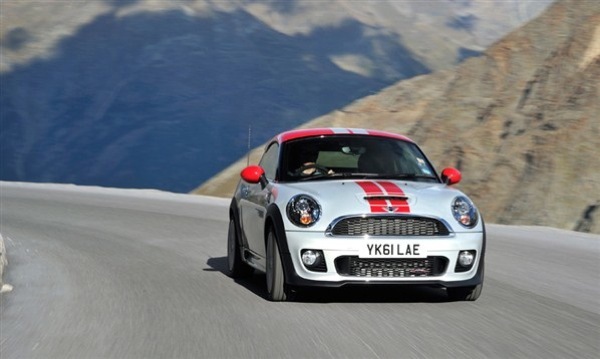 But given MINI already produces exceptionally fun cars don’t take that as a bad thing. Besides which – and this is point of order number two – there is actually a difference. 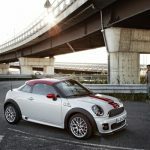 MINI has stiffened the structure, the springs and the dampers, fitted bigger anti-roll bars, reduced the centre of gravity and shifted the weight balance forward, all of which gives the Coupé an attitude that’s a touch more serious than with the Hatch. So even when the conditions on launch turned treacherous, combining the Austrian Alps with sleet, rain and – in places – a cloud layer so low we actually had to drive through it, the Coupé remained steadfast, planted, eager to please. 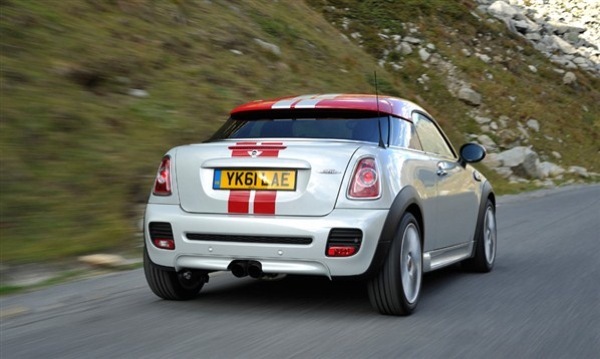 The steering will still twitch when it encounters bumps – a level of involvement that is very MINI albeit also apparently a shock to some customers – but the most extreme JCW version is often less excitable than its hatchback equivalent. 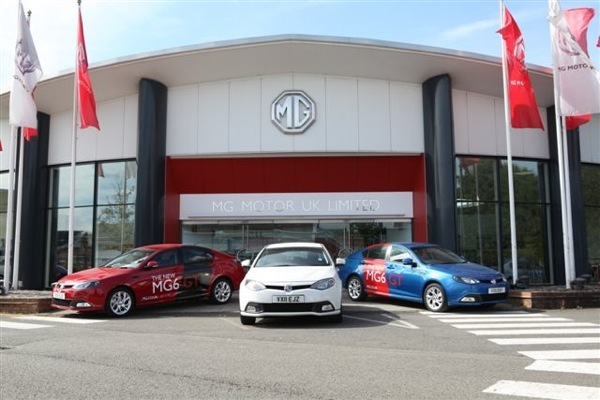 What you do get, however, is an outstanding sense that this car is ready to do your bidding to the upmost of its abilities – the steering weighting is just so, the Coupé’s reactions to your inputs faithful and alert and confidence inspiring. 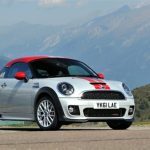 In summary, purists are going to be predictably narked here – though maybe less so than they were over the Countryman – while those looking for a true MINI sports car might feel short-changed. But the company has always protested that the Coupé would be a niche product. This is, basically, a MINI Hatch with two fewer seats and a funny roof – but the independence of spirit such a car represents may well prove to be exactly what some people are looking for, and above all else it re-emphasises the fun-to-drive disposition that is the very essence of this brand. 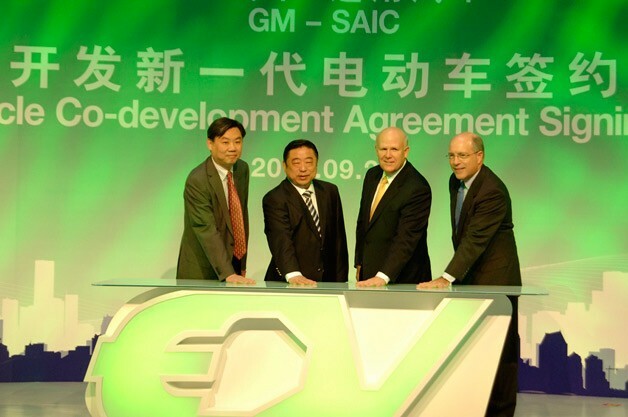 News : Will GM-SAIC deal lead to electric MGs? That frontal view of the car on a sweeping bend looks quite good, with a nice ‘classic’ curve to the winscreen and roofline, but the side and rear is another matter. Whatever they modelled the roof shape on the result is to my eyes plain ugly. The roof: can’t be a helmet. Hasn’t got a spike in the middle. You could’ve hopped over though surely! 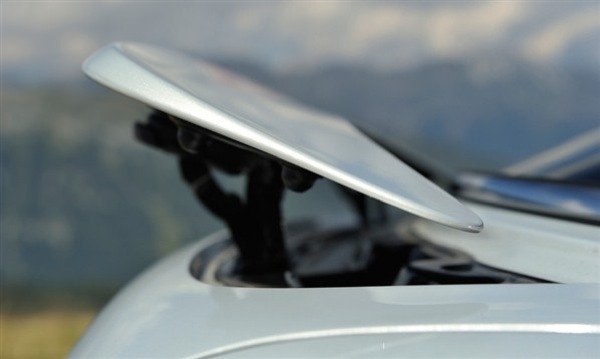 In other words, another overly stiff German car. This may work well on der billiard-smooth lengths of das Autobahn, but on the UK’s deteriorating road network it means an uncomfortable, jittery ride. The UK actually needs a car in the vein of the 2CV, that can cover a ploughed field without breaking eggs. That’d just get over the potholed roads of Britain (Honda in fact, after the earthquake and the tsunami and the nuclear meltdown, did not find a road in Japan bad enough to test on, so they built a UK road! – see http://www.autocar.co.uk/News/NewsArticle.aspx?AR=259228 ). The roof looks like its been made in fibreglass in someone’s garage? It doesn’t seem to fit and appears to made in smaller pieces. I for one think this looks ghastly, like someone has done a home-made hatchet job and stuck a small dome on top of a regular Mini, rather like the awkward looking aftermarket hard-tops you could buy for the TF and other soft tops. 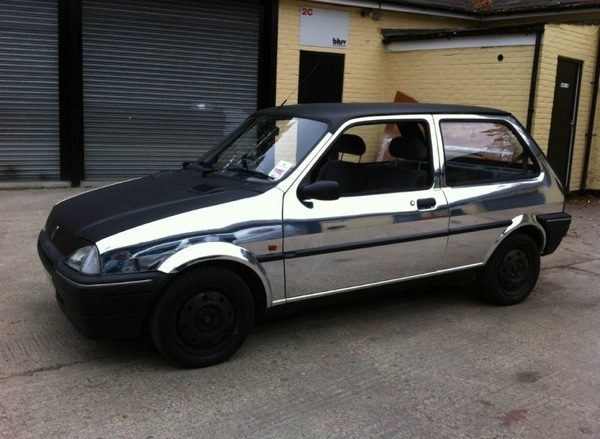 Still, it’s a MINI so people will blindly buy it and it will win award after award etc etc etc…. Doubtless I’ll ruffle some feathers, but I think it looks utterly stupid. 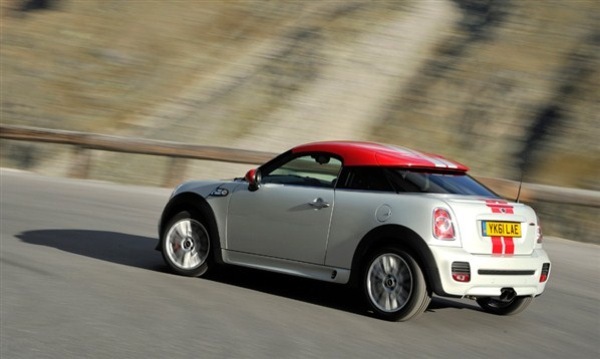 It looks like a beheaded Mini with a basebal-cap instead of a roof. “Plant Oxford” what has happened to the English language these days?. What is wrong with saying “the Oxford Plant?. BTW, I wouldn’t buy any MINI, hideous overrated little things. 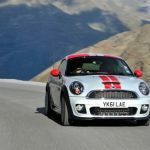 Had the misfortune of using a cooper S for the week – hated it! what rhymes with shiney and bright? ive never been a fan of the bmw mini and i think they have just about milked the brand with this pointless coupe it just doesnt sit right.Take the original mini,ok,they did the pick up,van,estate and clubman but they still looked pure mini. 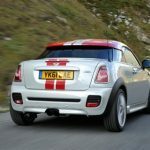 I’ve owned two MINI’s (one Cooper, one Cooper S) between 2004 and 2010 and have hosted the website for the Cornish new MINI club for the last 7 years. I sat in one of the coupes a couple of days ago and it’s a desperate thing; basically, a MINI, but with odd looks, a ridiculously cramped cabin, two less seats, an even smaller boot and atrocious visibility. It shares the tinny sun visors with the standard car, but the windscreen is so small that they take up most of the screen when they are down. The view out to the side and the back has already been covered but, in reality, it’s terrible. This is not a car for the claustrophobic!